Is there brick or stonework on your property that is falling into disrepair? Need a team of professionals who are skilled brick and stone masons to return the brick and stonework to the beauty it once held? We are your team. All Buildings shift and move over time. Most also have layout or workmanship flaws. Such issues can lead to shaky facades or cracked and damaged structural members. We are skilled and highly trained professionals who are very experienced in repairing all of these issues and more. Our expertise has aided many owners in avoiding expensive rebuilding. We use modern "strengthening and restraint methodologies" whenever appropriate for all kinds of brick constructions including conventional "load bearing brickwork" and "contemporary brick clad" buildings. When establishing the proper process of restoration, we take into consideration the varying nature of the base materials and use proper repair technologies to make sure that loads are correctly transferred between the structural components. Our specialties include crevice repairs and replacing broken brick as a result of base settling, vehicle damage, pipes repair damage, and deterioration issues. These repairs need several significant adjustments to make sure their professional persona is preserved and are long lasting. The very first crucial step in just about any repair would be to correctly identify what must be done. Each Project Manager has over a decade of related masonry expertise and will assist you to determine a fair range of work based on your own demands and wishes. You might want to just enhance the look of your brick. Small imperfections in your brickwork might not need repair in any way, for example fine hairline fractures or small erosion of mortar. Nevertheless, delaying other repairs could cause damage to other parts of your residence. Proper "Brick Matching" is important. Damaged, cracked, or badly deteriorated bricks should more often than not be removed from the wall and replaced with new units. 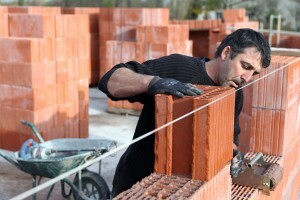 In the event you do not have additional bricks, we are skilled at locating a best match possible. We take great pride of our abilities for the solutions we create to take care of just about any brickwork issue.